In a December 12 meeting the Albermarle County Board of Supervisors voted to adopt the master plan for Biscuit Run Park, a proposed 1,190 acre public park to be developed in southern Charottesville off of route 20. The park has been designed to merge conservation with recreation to strengthen the area’s sense of community. Though the park is the newest of a dozen similar public natural reserves in the county, it is anticipated to offer the community the most experiential refuge yet. The entrance to Biscuit Run is anticipated to be a fifteen minute drive from The Farms of Turkey Run. Entrance at Rt. 20/Avon St. The Board of Supervisors has not yet announced an anticipated opening date. 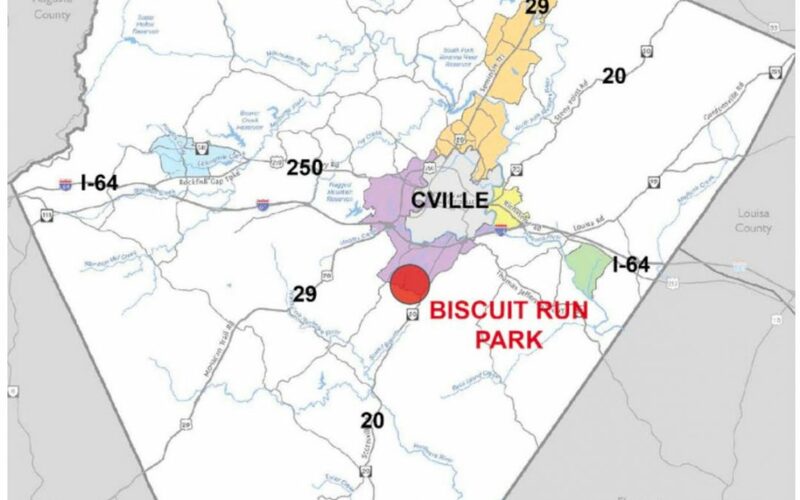 Biscuit Run Park is a nearly 1200-acre property located in Albemarle County. The Commonwealth of Virginia acquired the property in 2009 under Governor Kaine’s administration. On January 4, 2018 Governor McAuliffe announced a partnership with Albemarle County to open Biscuit Run park to the public. Governor McAuliffe and DCR signed a 99-year lease with Albemarle County for the property. The park will be the first of its kind in Albemarle’s development area. 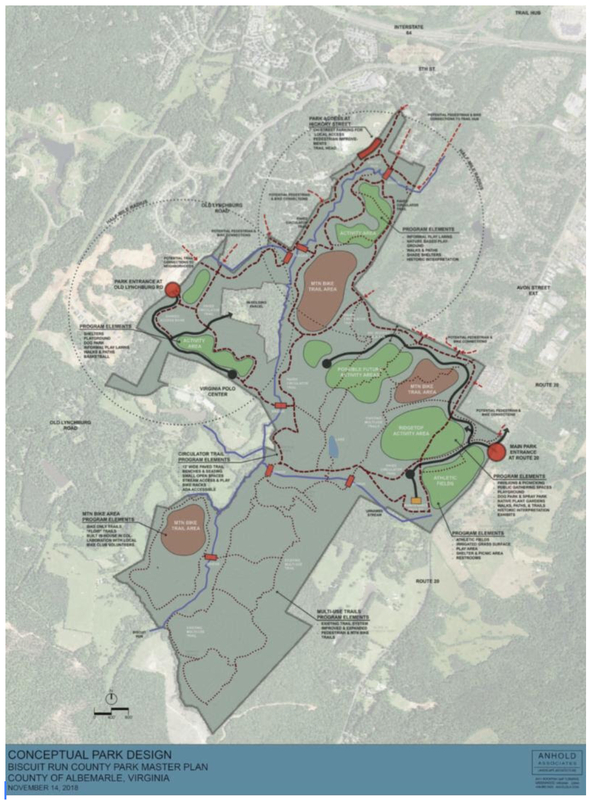 This new partnership will allow for the park to open sooner than expected and will provide high-quality recreational opportunities for Albemarle County and the surrounding communities. The lease was crafted to assure protection of the park’s natural resources. A minimum of eighty percent of the park will remain forested, all sensitive natural heritage resources will be protected, and management concerns like invasive species will be addressed.